It feels like we’re driving to the edge of the world where the water falls off. Infinity is just ahead. To the right are mountains that arc up from the basement of time. On the left, a dry lake bed now glassed with salt. This is the driest state in the country, not so surprising, but it is also the most mountainous, with some 300 ranges. 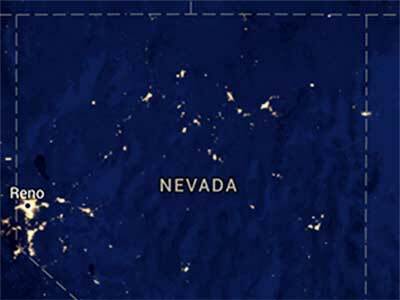 If you look at a satellite photo of earth at night one of the brightest pixels is Las Vegas in southern Nevada. But, if you look north, to the bole of the state, you see one of the darkest areas. What is out there? Who is out there? My ignorance is encyclopedic. Richard is a professional adventurer, and guest author of our NevadaGram this month. He travels to some of the unlikeliest places in the world and has loads of fun doing it, recording it all as he goes along. Somehow he found himself in Las Vegas not long ago and decided to drive to Reno via the scenic route, which embraces vast swaths of eastern and central Nevada and takes four or five days to accomplish. Here is Part One of his journey, from Las Vegas to Caliente. With friends Didrik Johnck and Adam Rose-Levy we map out the long way through the backside of Nevada, from Las Vegas to Reno. We could fly this connection in minutes, or take the freeway in a day, but we’re going to take a week scrawling through one of the loneliest passages in the world. 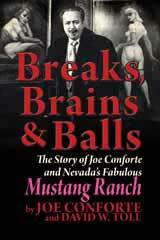 We begin the journey from the Downtown Grand Hotel in Las Vegas, just footsteps from the action of Fremont Street, and a half-block from a celebration of the city’s notorious roots at The Mob Museum. We pack up, head out, freed from the arguments of civilization, and wind around Lake Mead to Boulder City. Lake Mead looks as shimmering and desolate as it did when I was a river guide in my teens. 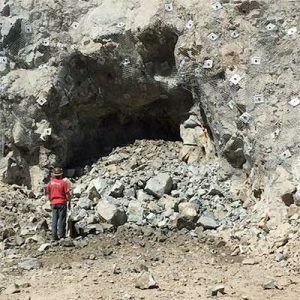 Having completed the unprofitable five year fiasco of the Lucerne Pit — with the Grand Finale of collapsing Highway 342 into it — Comstock Mining Inc. (or is it LLC?) laid off most of its employees and went underground where it immediately ran out of money again. I used to pilot inflatable rafts down the Colorado through the Grand Canyon, and the take-out then was Temple Bar Marina, about a day’s motor (we used 20 hp Mercs) across a brutally hot and barren channel. Sitting in the back of the 33’-long pontoon raft, the engine droning, the heat searing, I felt for the first time a seam open onto a void whose terrible content is the inevitability of finality, and it raced the blood and evoked feelings of being more alive. It was that kind of place. We make our first stop at the Nevada State Railroad Museum in Boulder City, which harbors the train that carried the supplies to build the biggest dam in the world at the time: Hoover Dam. Here I meet John, a retired engineer in full railroad costume, who offers to take me on a little ride in his engine. A conductor hanging off a Pullman coach yells “All aboard,” and off we chug. The restored train doesn’t go far, about four miles, and John doesn’t say much, but I ask him “If a train station is where a train stops, what’s a work station?” He groans, and puts the train in reverse. 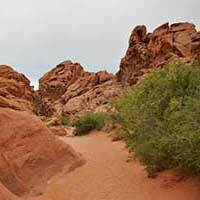 From Boulder City we wheel across the Mojave Desert to the Valley of Fire. This is Nevada’s oldest and largest state park, but still just a fragment of the over two million acres of designated wilderness in Nevada. It erupts from the land like a big pot of calcified soapsuds. 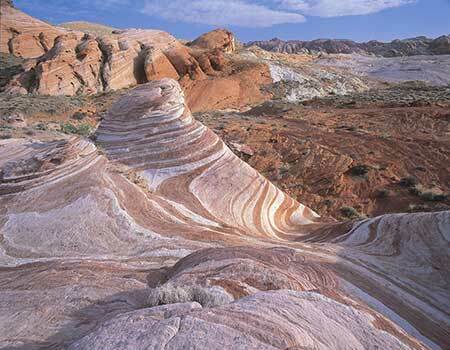 The 150 million-year-old rock is mostly blazing red Aztec sandstone, eroded into phantasmagorical lumps and wedges. Steve Santee, a ranger who lives in the park, hands me a passport, as though he’s recruiting me for some sort of escape. (I came for the waters…. I was misinformed). 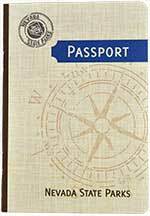 Turns out the passport is the centerpiece of a program designed to encourage visitation to Nevada’s 23 state parks, some of which are distinguished for their lack of callers. Steve explains that once passport holders have their booklets stamped at 15 different parks, they earn one free annual pass to all Nevada State Parks. He stamps mine; I’m on my way. The sun is quickly falling, so we head up a low ridge to Rainbow Vista, an overlook of washes, dendritic mazes, domes, towers, ridges and valleys, and bands of colors, sandwiched like the stratum where peanut butter and jelly meet. The view tumbles like layers of life, and it seems, if I look hard enough, I can see the whole of my personal span in these rocks. Then, beneath the scarp of purple nightfall, we’re off up the Great Basin Highway, running through a watershed named by explorer John C. Frémont in the mid-1800s. The region comprises not one but at least 90 basins, or valleys, and its rivers all flow inland—not to any ocean. If you are running water, you can check in, but you can never leave. I’ve been away. Not physically away, but so fully engaged in the fight against pit mining the Virginia City National Historic Landmark that I might as well have been in a different world. 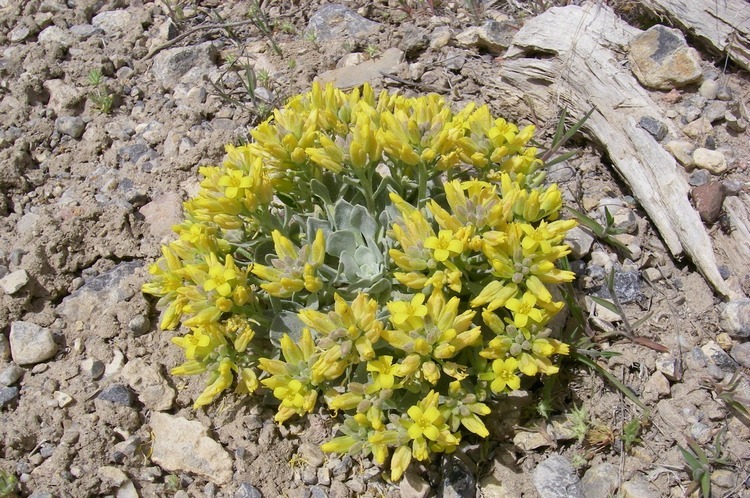 Robin and I had been feeling the simple yearning to see some sagebrush, and some sky, and some of the people we’re especially fond of, when we received two irresistible invitations that brought us back out on the road again. The first was an invitation to give a talk and a reading from the new book at Joe’s Tavern in Hawthorne as the second stop of my ‘Self Propelled Nevada Bookstorming Tour’. The tour began at the Tahoe House in Virginia City before an audience of about 40. In Hawthorne we all sat at a table together and shared Joe Conforte stories. Everybody has one, if they were around when he was. No-one ever met Joe personally and then forgot about it afterward. Proprietor Hal Holder offered every amenity to enhance the occasion, and it was a special pleasure for me because it brought back memories of Joe and Julia Viani who reigned here for so many years. It was also my contribution to improving the Author business in America: hold the readings/signings in saloons and kill two birds with one stone. Under a stanza of stars, seemingly amplified by the high desert air, we find our way to a set of cabins on a ridge under a windmill outside of a former horse thief resting station called Alamo. Even with a bakery featuring generously-sized homemade pastries, it does seem like a last stand. 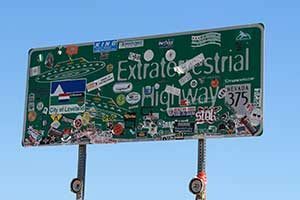 The day next, beneath a beckoning blue sky, we probe up the road, with a speed limit of Warp 7, to the intersection with State Route 375, which in 1996 was renamed the “Extraterrestrial Highway,” for the many UFO sightings along this naked stretch of road. The highway is adjacent to Area 51, the super-secret Air Force test facility, whose existence the U.S. Government didn’t even officially acknowledge until recently, and which many believe is holding a ménage of little green intergalactic pilots and their downed spacecraft. There is a single shop at the intersection, ET Fresh Jerky, with a large sign out front “DROP YOUR TOXIC WASTE IN THE CLEANEST RESTROOMS IN AREA 51. FREE SAMPLES.” Who could resist? We park, and walk in. Aliens do have the power of mind control. The opening weekend of the 2006 season is April 15 and 16. Train times are Saturdays Steam at 1:00 pm and Diesel at 4:30 pm. Sundays, Steam at 9:30 am and Diesel at 1:00 pm. Is Wendover Burning? In its February 2nd edition, Wendover’s weekly High Desert Advocate published on its front page the celebrated Danish cartoons of Muhammad. Publisher Howard Copelan is the only Nevada newspaper proprietor willing to risk the wrath of Muslim fundamentalists . 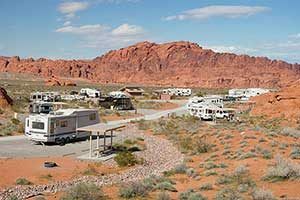 . . Intermountain Guide Service offers van tours to the Bonneville Salt Flats, also ATV and Horseback Riding tours into the mountains north of Wendover. They pick you up at your hotel and take you up to the mountains for an unforgettable ride: you see the salt flats for miles, there are big horn sheep, wild horses and for four or more they will do a dutch oven dinner . . . The Stardust brothel In Ely is on the market . . . McAvoy Layne, who begins his day with the New York Times, was no doubt gratified to see his photo in the April 2 edition accompanying the Associated Press story about the First Presbyterian Church in Carson City. Some folks want to take it down and replace it with something newer and nicer, others want to preserve it for its historic value. Orion Clemens, Sam’s brother, was a member of the congregation, and Sam raised $200 to help build the church in the first place, by holding a “roast” of the Territorrial legislature. 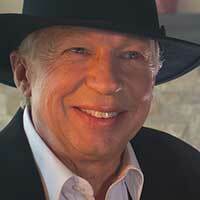 Inside I meet manager Dixie Scabro. She’s quite friendly, happily ringing up my purchases, but none too chatty. I ask if there might be any relationship between alien cattle mutilations and this jerky outlet. She shakes her head no. I probe some more, asking about Area 51, just beyond her doorstep, but she just clams up. What secrets is she hiding? She won’t tell. Instead, she directs me to the Alien Research Center, just down the road. “But, it’s never open,” she warns. So, we head down the ET Highway to a giant metal statue of a goofy-eyed alien standing in front of a Quonset hut (I was born in a Quonset hut, adding to the mystery). It turns out it is indeed open, and so we venture inside to a galaxy of Martian t-shirts, X-Files posters, space gimcracks, UFO tchotchkes and an empty bottle of Alien Tequila. Someone, it seems, drank the research before we showed up. Back on our telluric adventure we weave through a landscape that looks as though left in the sun too long. We stop at Caliente, named for the hot springs in a cave at the base of the surrounding mountains. It was once the center of a railroad war, as it is the half-way point between Salt Lake and Los Angeles and rival barons wanted to own the tracks. 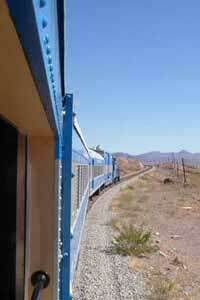 When steam engines were replaced by diesel locomotives in the 1940’s, the division point moved to Las Vegas. Now Caliente seems the backside of an idea, more wish than reality, a semi-ghost town with about 1000 residents. 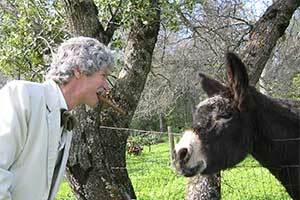 Here we meet Mayor Stana Hurlburt, whose office is in the old Spanish mission style railroad depot. She shares she is hoping to reinvigorate the town by turning it into a mountain biking mecca, similar to Moab. It has the terrain, to be sure, and no crowds or spandex, yet. She may be on the right track. We round out the day visiting Cathedral Gorge State Park, a long, narrow valley where erosion has carved stagy spires and basilicas in the soft bentonite clay. It looks like the maria of the moon. Ranger Dawn Andone takes us on a hike through earth’s artistry, into twisting slot canyons, around church-like steeples, beneath buff-colored cliffs, and by the fluted hoodoos carved from remnants of a great freshwater lake millions of years old. “How did all this happen?” I ask. “Sedimentary, my dear Richard,” explains Dawn.
. Over in Las Vegas the 2016 Miss USA Competition commences on June 5th at 4pm in the T-Mobile Arena. Be sure not to miss Hydro-Fest 2016 at the Spring Mountain Motor Resort and Country Club in Pahrump on June 10th through June 12th… And it’s free! . . On the east side of the state in Ely is the Fears, Tears, and Beers Mountain Bike Enduro Race that is scheduled for June 11th. After the run go to the award ceremony at Broadbent Park. Racers eat free, otherwise wristbands are $10. Next door in Baker go to the Snake Valley Festival on June 17th through the 19th. The Snake Valley Festival raises money for the Great Basin Water Network to help protect Snake Valley and other nearby areas from massive “dewatering” projects. . . Head Northward for the Wendover Beer Fest at Peppermill Concert Hall on June 25th. Travel east on Interstate 80 to Elko for their Annual Beer Festival on June 24th at 6:00 pm to 10:00 pm. At the base of the glorious Ruby Mountains is the Lamoille Country Fair on June 26th that features home made arts and crafts, food vendors, a kids corner and fun for the entire family. Also near Elko is California Trail Days at the California Trail Interpretive Center on June 4th and 5th. . . To the west off Highway 50 in Fallon is the high powered OCTANE FEST 2016 that starts on June 9th and runs through the 12th. Farther west off Highway 50 in Dayton is the Oodles of Noodles festival on June 18th and 19th. “The festival celebrates the area’s Italian and Chinese Heritage, and offers plenty of pasta, street vendors and entertainment”. 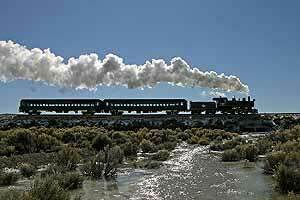 Up on the Comstock, in Virgnia City come to the 12th Annual Reno-Tahoe Odyssey and Comstock Odyssey Relay on June 3rd and 4th. In Carson City come on out to the Nevada State Fair on June 9th through the 12th at Mills Park. Stewart Indian School holds it’s annual Fathers Day Pow Wow on June 17th. The all day event is free to the public. . . South on 395 takes you to Gardnerville where the 106th Annual Carson Valley Days starts on June 9th and runs through June 12. Admission is free. Gardnerville hosts the Hotter Than Hops Craft Beer Festival on June 25th. Tickets are $40 at the door. . . 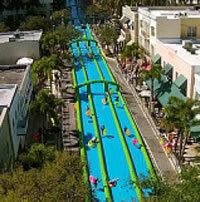 In Reno, Slide the City at Ralston Ave and University Terrace on June 4th. 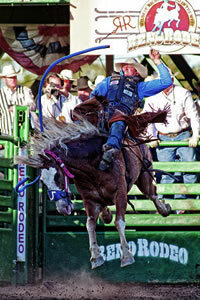 Then head on over to the Reno Rodeo at the Reno-Sparks Livestock Events Center on June 16th through the 25th. “It’s the Wildest, Richest Rodeo in the West”! Sand Harbor State Park on June 11th. “Planet Earth’s Best Paddling Above 6,000’ Elevation”! 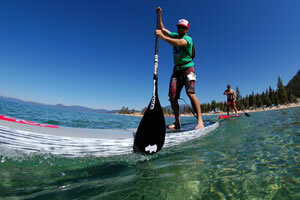 On the north end of the lake come out to Wine on the Water on June 12th at the Hyatt Regency Lake Tahoe Cottage Green. To the west of Tahoe in Olympic Valley check out Bluesdays that begins on June 14th and runs through the summer until September 6th. This is a free outdoor concert series. On June 16th through the 19th go to the Tahoe City Solstice Festival that is considered to be the “best place to celebrate Father’s Day at the lake”. 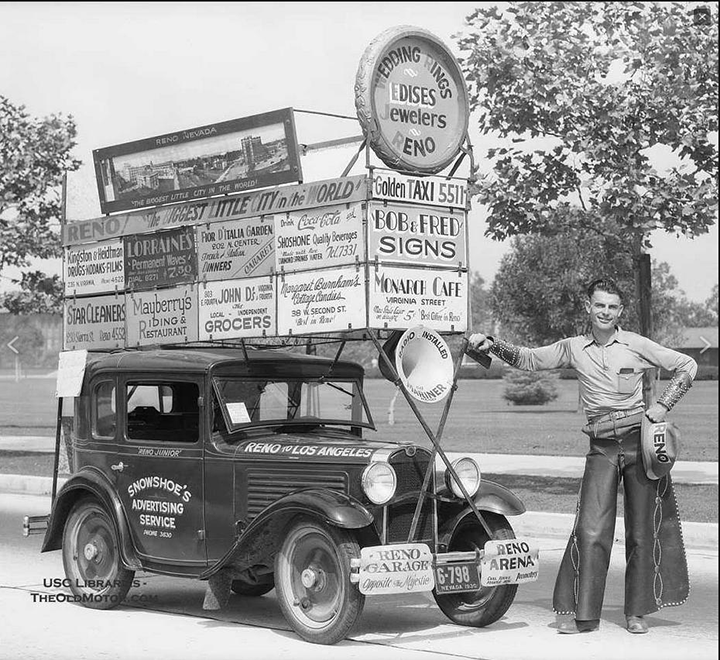 We don’t yet know what prompted this exuberant production built around the drugstore cowboy and his Baby Austin in 1930 (we’re still searching) but we love the photo, and the guesswork. 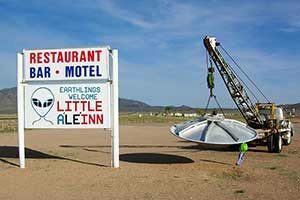 The picture next to the writeup of the Alien Research Center is actually of the Little A’le’inn in Rachel, some 44 miles further down Hwy 375. It sounds like you backtracked from the Alien Research Center to US 93 and proceeded on to Caliente instead of going to Rachel. You’re correct. The photo is of the Little A’le’inn. Richard visited both places (or tried to) but we only had this one photo.